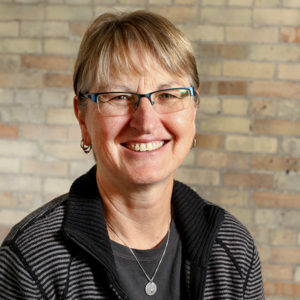 Pam Mehnert is general manager of Outpost Natural Foods Cooperative in Milwaukee, WI and has worked for the co-op over the past thirty-seven years. Outpost currently operates four store locations, a Market Café, and a wholesale division of their business, generating more than $48 million in annual sales. Under Pam’s leadership the co-op relocated it’s original store, opened three additional locations, and has undertaken numerous remodels and expansions. Pam previously served on the board of directors for the National Co-op Grocers for twelve years, was a founding director of Local First Milwaukee, and has a lifetime of co-op memories she is happy to share over a beer or two with anyone who asks!